When you never practiced Yoga before, we recommend an Introduction Course or Workshop, we offer these regular! After that you can join every Mysore Class or you can join the Led Basic. Especially in the Mysore Classes we can teach in English, because it's individual teaching, so even if you are a beginner you can come to all of the Mysore Classes! When you have some experience in a dynamic Yoga Style, you can definitely join the Led Basic (Thursday 20 - 21.30h) or the Led Medium (Monday 19.30 - 21h). The Yin Yoga Class on Wednesdays is open for everyone! Ashtanga Yoga Introduction Courses - with registration! In 5 classes you learn the basics of Ashtanga Yoga! You get an introduction into the Primary Series of Ashtanga Yoga with all its principles... it includes a short finishing sequence and a deep relaxation at the end. 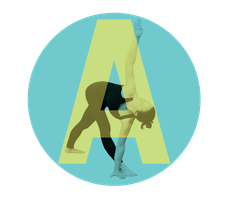 The Ashtanga Led Basic Class is the perfect class after the introduction course! The teacher leads you through the beginning of the primary series. Breath and Bandha Work is integrated and the class ends with a deep relaxation. For everybody, who joined a introduction course or who has some Yoga experience (for example Vinyasa Yoga)! You can come and try every time! Its 10€ for that... Prices for cards or a membership you will find here. Ashtanga Yoga is dynamic and powerful – the goal is a moving meditation! In this Workshop you get an overview about the Primary Series of Ashtanga Yoga. You will learn the Sun Salution and the principles of this Yoga Tradition. Good for a start into the Mysore Program or if you are just curious! For all without any Ashtanga experience! Please sign in until 01.04.19 here!